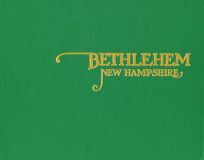 A fun participatory dictionary of the unique words and language used by residents of Berlin, New Hampshire, once the center of the pulp and paper industry of northern New England. 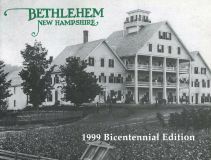 Excellent photographic history of Berlin, New Hampshire, the "city that trees built." A detailed and comprehensive history of this western Maine town bordering the White Mountains and the Androscoggin River. A photo history of the famous White Mountain tourist community. The updated bicentennial edition of the history of one of the White Mountain region's most fascinating communities. Softcover edition of this award-winning anthology of nearly 50 original essays focusing on the past, present and future of New Hampshire's North Country. 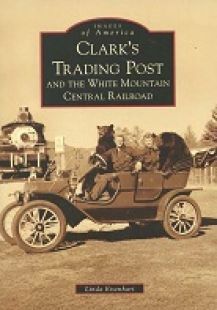 Book was honored recently as "Outstanding Work of Nonfiction" for 2010-2011 at the New Hampshire Literary Awards. A lively and entertaining new collection of 50 of some of the darkest and grittiest historical events in New England's storied past. A nicely done pictorial history of the Boston and Maine Railroad during its heydays in the late nineteenth century. 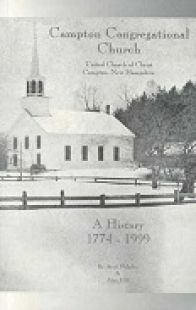 A new unread and unused paperback copy of this illustrated history of the Campton (NH) Congregational Church. Excellent children's story about Nin, the longtime summit cat atop New Hampshire's rugged Mount Washington. 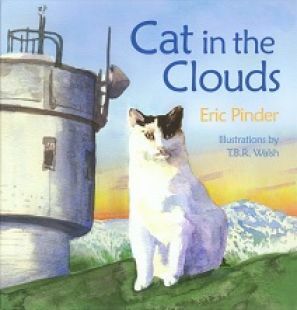 Written by longtime Berlin, N.H. resident and author Eric Pinder, a former Mount Washington Observatory staff member. A new guide to hiking New Hampshire's 4000-footers. Includes descriptions to 36 different treks.